Thanks mostly to another outstanding performance of the chinese market, more than 47.000 plug-ins were sold last month, which not only represents a 13% increase over the last record (42k last June), but also a significant 52% increase regarding the same month last year, pulling the YTD sales to 334k units, meaning a 54% increase over the same period in 2014, if sales keep up this pace, we should see sales reach some 500.000 units. Yep, half a million EV's in one year, this year. Thanks to the UK and its domestic market, the Outlander PHEV (4.829 units) managed to get its second Monthly Best Seller Month in three months, on the other hand, the once dominant Nissan Leaf hasn't reached the highest place in podium since May. This brilliant performance from the Mitsu Outlander PHEV allowed it to recover the #3 from the BYD Qin, which has seen its sales dive to just 2.115 units, its worst performance since February, that drop has more to do with BYD preferring to make the higher margin Tang SUV (3.044 units, already #6 in the September ranking), than to lower Qin demand. Speaking of models with outstanding performances outside the YTD Top 10, better even than the Tang performance was the sales surge of the Kandi Panda EV, shooting to #5 in September, thanks to a record 3.301 units registered. Looking at the rest of the YTD ranking, the other notable change is the Golf GTE dropping another position to #10 (It was #8 in July), changing positions with the BAIC E-Series EV. A final word on the BEV / PHEV breakdown, currently pure electrics are winning 60% / 40%, with plug-in hybrids recovering 2% share regarding last year. This was the fifth consecutive month that BYD won the Best Selling Manufacturer title, again with a new personal record (6.013 units), the chinese carmaker is closing in to the leader Nissan, having recovered 1.433 units in September, there are now only 1.916 units separating them, so if all continues without major changes, BYD should surpass Nissan and become new Best Selling Manufacturer in November. In the race for #3, Tesla is still ahead, but with only 500 units separating it from Mitsubishi, a lot can still happen until the end of the year. In the low end of the manufacturers ranking, things are pretty leveled, with only 96 sales separating the 12.924 units of the #9 Kandi (Back to the Top 10 after a nine months absence), from the 12.828 units of Chevrolet (#10) and 149 units ahead of the #11 Zotye (12.775), with the #12 BAIC also not that far off (10.533). Although still early to see definitive trends, for that we will need to wait for October and November numbers, i tried to spot in the September sales some early signs of any disruption pattern in Volkswagen Group's most significant EV's, namely the e-Golf and e-Up! pure electrics and the Golf GTE and Audi A3 e-Tron plug-in hybrids. The scandal can work in two ways for these cars, either consumers opt out in any model from VAG, hurting their sales, or buyers switch from a regular VW diesel model to their Plug-in version, as can be the case in the Audi A3 or VW Golf. - Personal best in Portugal, with eight units. - No sales last month in Spain, the first time it has happened since it landed there. - Personal best in Spain, with 21 units. As it is possible to see, the worst performers in September were the Audi A3 e-Tron and VW Golf GTE, with significant drops in high volume markets, like Netherlands or Norway, wih only two bright spots in secondary, low volume markets. The pure electric models e-Golf and e-Up! seem to have coped better with the rough times, but truth be told, their general numbers aren't as high as their plug-hybrid relatives, and in the case of the little e-Up! sales have been dropping also for quite a long time. Renault rules in France, BYD does it also in China, while in Japan, the Mitsubishi Outlander PHEV finally has a real shot at beating the Nissan Leaf for the Best Seller Title, something it has consistently been doing in the UK for the last year. Tesla manages to keep to itself the leadership in the US, while Volkswagen had significant drops in Norway and Netherlands (See above), and finally in Germany, Volkswagen leads in the manufacturers ranking, but in the models chart, the First Place is very much open to debate, with five(!) models with realistic aspirations to be the Best Seller, with only three months to go! Looking at Market Share, the only two dark spots are the US (0,6% now vs 0,7% last year), continuing to wait for better days (*cough* Chevrolet Volt II *cough*), and Japan, on a sales dive with no end in sight, but looking at the rest of the pack, things vary between the moderatly optimistic, like France (1,28% vs 0,91%) or Germany (0,63% vs 0,44%) and China's exponential growth (0,71% vs 0,25%), with Norway (22% vs 14%) and Netherlands (6% vs 4%) also growing at a fast pace. 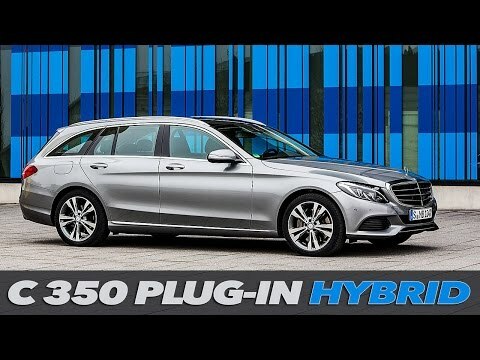 Looking at other markets, we should mention the extraordinary result of the Outlander PHEV in Spain and Portugal, taking the lead there, as well as the extraordinary results of Tesla in Denmark, Switzerland, Austria and Hong Kong, not only leading the EV ranking in those countries, but also making an impact in its size class, sometimes putting to shame the usual leaders from BMW, Audi and Mercedes. Belgium buyers continue their love affair with the Porsche Cayenne Plug-in, like Sweden does with the Outlander PHEV and Ireland with the Nissan Leaf, while the Renault Fluence ZE is having a rebirth in South Korea, in the shape of the Samsung SM3 ZE, which is now the leader of the EV market in this high potential market. Looking at Market Share, if the EV markets in Estonia and Latvia have just imploded, others are the other way around, with Hong Kong rising exponentially to 3% share, up from 0,46% last year, Switzerland is also up significantly to 1,95%, up from 0,75%, while in the Ukraine plug-ins are now at 1% share, up from virtually...Zero last year. More than 15.000 units were sold last month in the European EV market, up 54% YoY, and with over 120.000 registered this year, YTD sales are headed for over 150k units this year, a significant improvement over the 100k registered in 2014. Looking at the monthly models ranking, it is heavily influenced by the UK market, with the first two positions belonging to the Outlander PHEVand Nissan Leaf, the two major forces there. In Third we have the french Renault Zoe, benefiting from an uptick in sales in the domestic market, followed by the VW Golf GTE and Tesla Model S.
Looking at the YTD ranking, the only changes are below the Top 10: the Porsche Cayenne Plug-In climbs one positions to #13, while the Mercedes C350e goes from strength to strength: 570 registrations in September, allowing it to climb two positions to #14 and confirming the Mercedes model as the only rookie able to create an impact in the ranking. On the other hand, the VW e-Up! had its worst result ever, registering only 155 units, dropping two positions to #15, considering the current dive in the ranking, just last year the little VW was #6, the german brand should give a signal to the market that now is effectively pro-electric, by giving the e-Up! a substantial price cut, answering at the same time to the question: "Is VW really into plug-ins?". There is a newcomer in the ranking, with the Volkswagen Passat GTE displacing the Opel Ampera from #30, the midsize VW will be a serious candidate next year to the D-Segment / Midsize class trophy, so the Volvo V60 Plug-In and Mercedes C350e need to keep an eye on it. Looking at the brands ranking, Volkswagen is in the lead of Europe's EV Manufacturers Throne (18%, -1%), followed by Mitsubishi (16%) in Second and Renault in Third, with 13%, the same share as Nissan, but with the japanese manufacturer 815 units behind its Alliance partner. 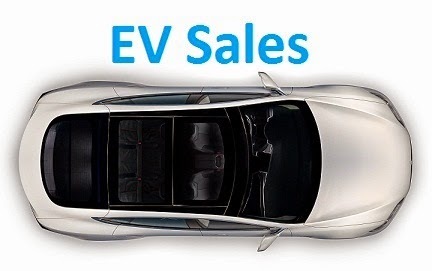 312 EV's were sold in Belgium last month, up 117% YoY, placing the EV Share at 0,74% and YTD sales close to 3.000 units, already a 39% improvement over last year. 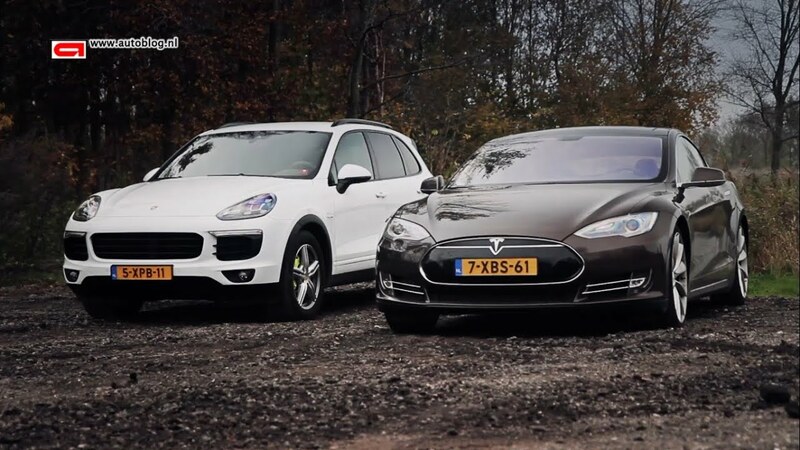 The two on the front continue their close run, the Tesla Model S (71 units) this time lost some ground to the Porsche Cayenne Plug-In, with the difference between both now at just 33 units. In the rest of the ranking, the #4 Golf GTE had its worst selling month since it landed, registering only 8 units, allowing the Volvo V60 Plug-In to approach a little, but the real action happened in the second half of the ranking, with the Mercedes C350e climbing two positions to #17, the Nissan e-NV200 / Evalia also climbed two positions to #19, while the Kia Soul EV had a rare drop, losing three positions to #21, after having failed to deliver any unit last month. In the manufacturers ranking, everything remains the same, with Porsche leading (24%, plus 1%), followed closely by Tesla (22%) and BMW, with 15%. 2.709 units were sold in the French EV market, up 14 YoY, keeping the EV Share at a record 1,28%. Looking at the monthly models ranking, it's business as usual in the leadership, with the Renault Zoe ahead of the competition and the Nissan Leaf down to #4, giving way to the Renault Kangoo ZE, #2 with 393 units (Best performance in two years! ), and the Bolloré Blue Car, #3 with 199 units, its best performance in 22 months. Looking at the YTD ranking, there were a couple of position changes, the Kia Soul EV climbed two positions to #13, switching places with the long-in-the-tooth Smart Fortwo ED. The other two models to climb in the ranking were the Mercedes B-Class ED, up two positions to #21, and the Prius Plug-In, which by clearing stock registering 13 units last month (Best performance since 2013), ascended to #25. In the manufacturers ranking, everything stayed the same, with Renault First (50% Share), followed by Nissan (11%, down 1%) and Volkswagen (9%, 1% less). EV Sales are rising fast in Portugal, with 99 units sold last month (Up 350% YoY! ), and with YTD sales now at 803 units, the EV Share jumped again to a record 0,58%. With the projected final numbers of the year at around 1.100 units, plug-ins will sell more this year than all the previous years combined! With such a high level of sales the ranking is bound to have several changes, the most important of them being the Mitsu Outlander PHEV reaching #1 both in the monthly ranking (For the fourth time in a row, by the way...) and also in the YTD chart, signaling the first time that a PHEV ever reaches such heights in Portugal. A curious fact, considering the diferente EV history(1) that the neighboring Spain has, is that not only the japanese SUV also reached #1 in spanish lands last month, but currently both countries share the same top 4 positions (Outlander - Leaf - i3 - Zoe). Looking at other changes, the VW Golf GTE climbed one position to #7, the Renault Kangoo ZE got its mojo back, jumping to #9, enabling it to recover the LCV Best seller title, but the Nissan e-NV200 / Evalia twins remain close, so this should be a thrilling race to the end. The Audi A3 e-Tron was down to #13, while below it the Porsche Cayenne Plug-In climbed two positions to #15. In the manufacturers ranking, Mitsubishi (25% Share) kicked out Nissan (20%) from the leadership, enabling the japanese carmaker to reach #1 for the first time ever, followed by Renault (18) and BMW (14%). 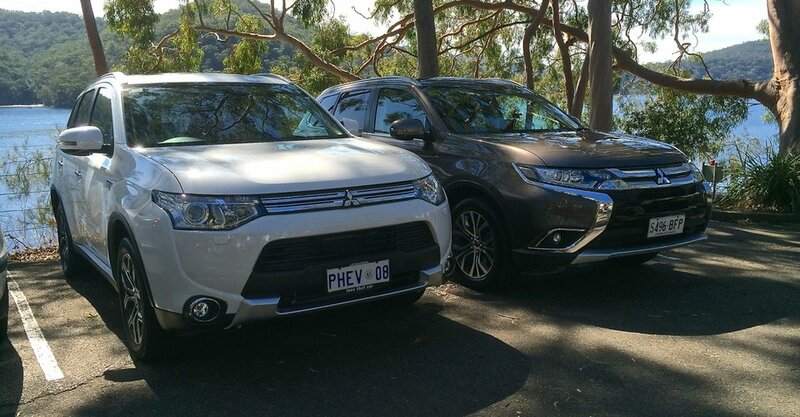 2015 - Mitsubishi Outlander PHEV (Mitsubishi Outlander PHEV).